In early 2016 Ceridian and WorkAngel completed a joint venture agreement and formed a new employee engagement company and power brand named LifeWorks. LifeWorks now stands as a leading global engagement and wellness company serving over 15 million users worldwide. As part of the joint venture agreement, I was responsible for designing the new 'Employee Assistance Programme' (EAP) platform. 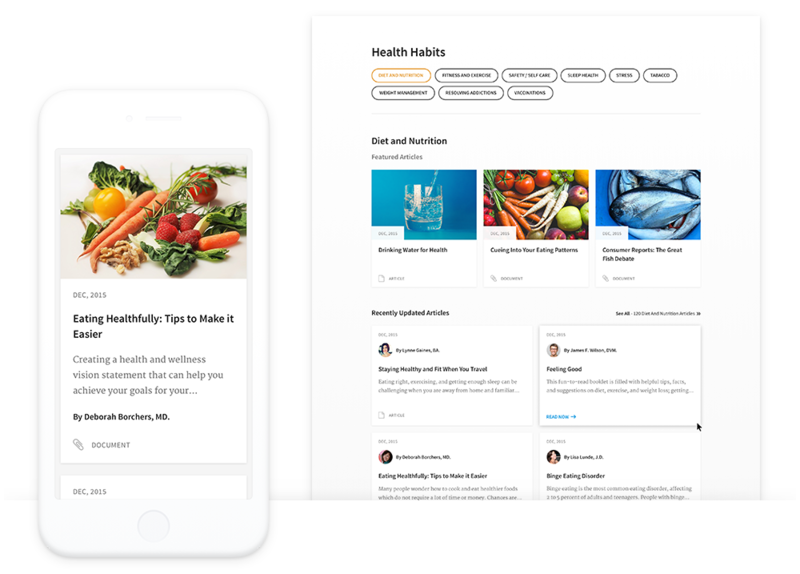 The EAP platform aims to connect employees with valuable 24-hour support and a powerful set of wellness tools to help them manage personal issues at work or at home. Part of the product requirements needed the Web App to be CMS driven, and easily accessible from both desktop and mobile devices. 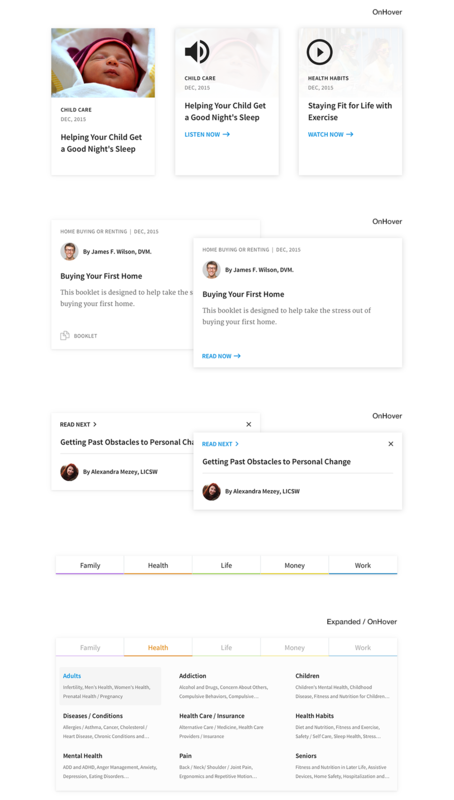 So in meeting the criteria, I designed a fully responsive, modular, CMS-based web app. This also gave me the opportunity to further define and refine the evolving brand guidelines for the new LifeWorks power brand. When designing a responsive product it's important to clearly define the layout constraints. 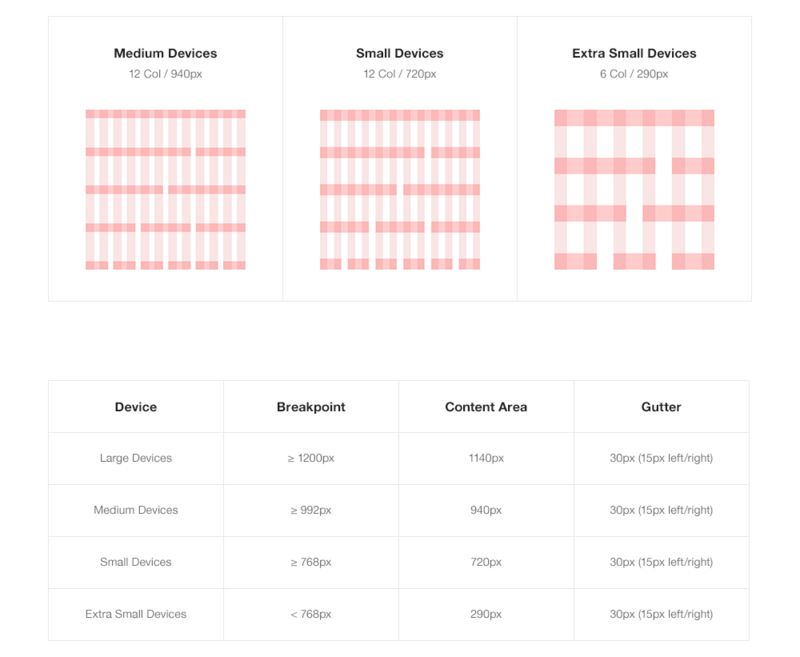 In doing so I defined the different grid layouts for each device-related breakpoint. 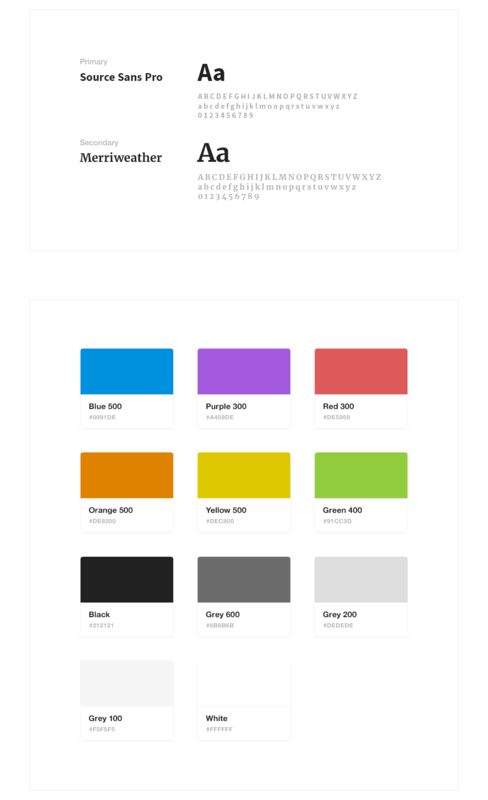 I defined the corporate and accent colour palette and chose a highly legible set of typefaces to be used throughout the EAP Platform. This proved to be particularly important as the platform is mainly editorial-led, so ease of reading is crucial to the product's performance. As part of my design approach I used modular, atomic design principles, centred around component reusability. This helped to speed up my workflow, whilst ensuring a good level of UI consistency throughout the product. Thanks to the scalable modularity, it also made it easy to collate all the components into a shareable pattern library. This allowed me and the developers to work in a more structured way. At this stage, all of the previously scoped design elements such as grid layout, typography, colour palette and modular components all came together to create a clear and engaging editorial-led design. Due to WorkAngel's joint venture with Ceridian, the newly formed LifeWorks power brand required a new set of brand guidelines. I was responsible for designing and collating all of the guideline content. This new set of global rules really helped the company to define a more consistent image for itself, especially in relation to its audience. With less than a month to complete the entirety of the EAP design, the turnaround was extremely short. The lack of resources, large workload, and tight deadlines proved to be quite stressful at times. Nevertheless, It's often said that “pressure makes diamonds” - So on that note, the pressurised working conditions really helped me to gain a better understanding of my working capacity. As a result, the EAP platform was delivered on time and to a high standard, which ultimately helped WorkAngel to successfully close their joint venture agreement with Ceridean, which later led to LifeWorks being acquired for $426 million by Morneau Shepell .